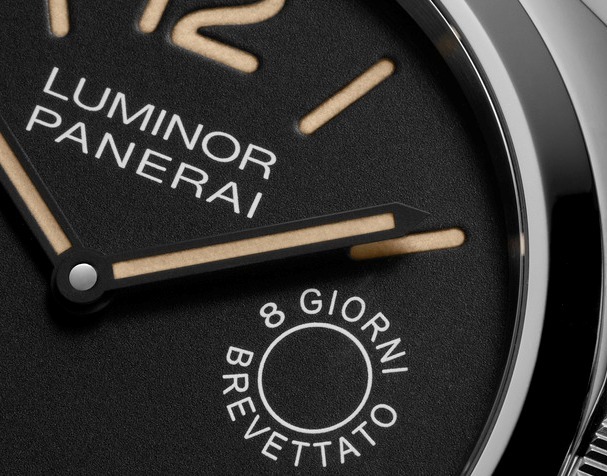 Subtle details make the new Panerai Panerai Luminor Marina 8 Days Acciaio a stand out watch. 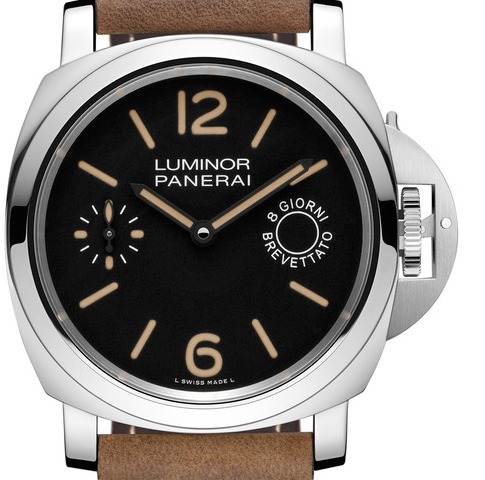 New and exclusive to the North American market is the Panerai Luminor Marina 8 Days Acciaio. Vintage watch lovers, those with an appreciation for military pieces, and especially Paneristis will need to take a close look at this North American exclusive – as it has a lot to offer in terms of the details. 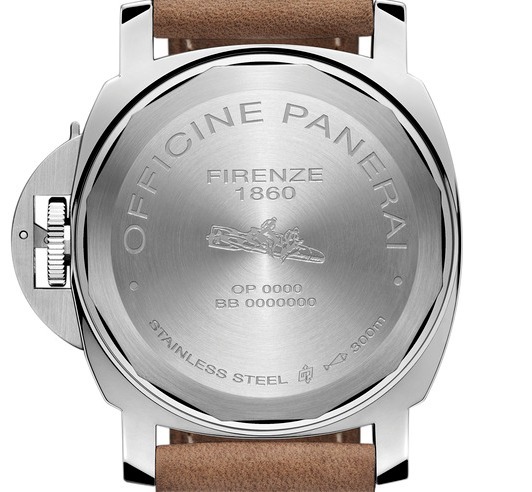 The back of the watch features an engraving of the manned slow-running torpedo. The PAM 590 reference seeks to pay tribute to and recognize the brand’s rich history as the official underwater watch of the frogmen for the Italian Navy in the 1930’s and ‘40’s while staying true to the Luminor aesthetics. True to form for the Luminor line, the Acciaio has the small second hand at the 9 o’clock position, the right proportions (44m and 4.5mm thick), and minimalist design elements on the dial that those familiar with the series have come to expect. Collectors looking for the subtleties and differences in this particular Panerai will find at 3 o’clock position the power reserve indicator inscribed as 8 GIORNI BREVETTATO (8 Day Patented). The fact that the in-house made 8-day movement holds a patent is inscribed on the dial. The historic nods are evident throughout the watch. The Arabic Numerals and hour markers feature a simulated patina and the engraving on the back of the watch shows a human torpedo, which was the main method used by Italian frogmen in executing underwater demolitions. The watch is a true diving companion, as it is resistant to 300 meters and is powered by the in-house hand-wound mechanical eight-day P.5000 movement with anti-shock device. With two barrels, this 127-part movement is a powerhouse. The steel watch also features the brand’s trademarked crown protector, and the sapphire crystal measures a sturdy 2.5mm think with an anti-reflective coating on it. The best news: Priced at $7,700, it is consistent with its cousins in the Luminor family – and an incredible steal.